Brian Brandt is the head cook and pitmaster for Mustang Sally BBQ. Brian's wife Kathy keeps things organized and running smoothly at competitions. She does desserts, too, garnering two perfect 180 scores. 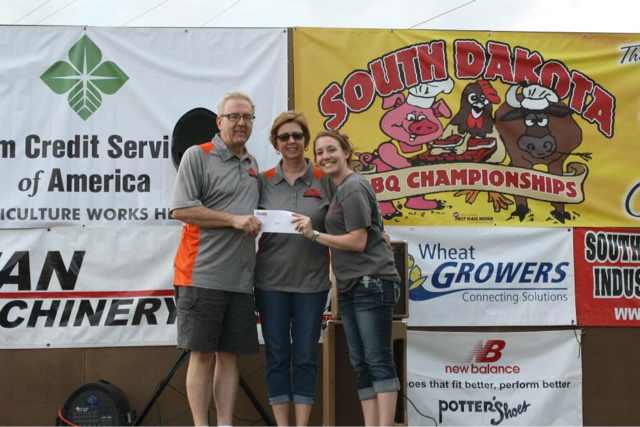 From Marshall, MN, we cooked for years in our back yard. Then came Smokefest 2007 and we were hooked! For many years we made our contest home in the vintage 1968 Forrester camper you see here. It was all original - except for the paint job and air conditioner. Its gone now but we will always remember, as will our competitors, our namesake trailer. Our cookers include a Backwoods Fatboy, Green Mountain Grills or drum smokers. We use different smokers depending on what we are cooking. 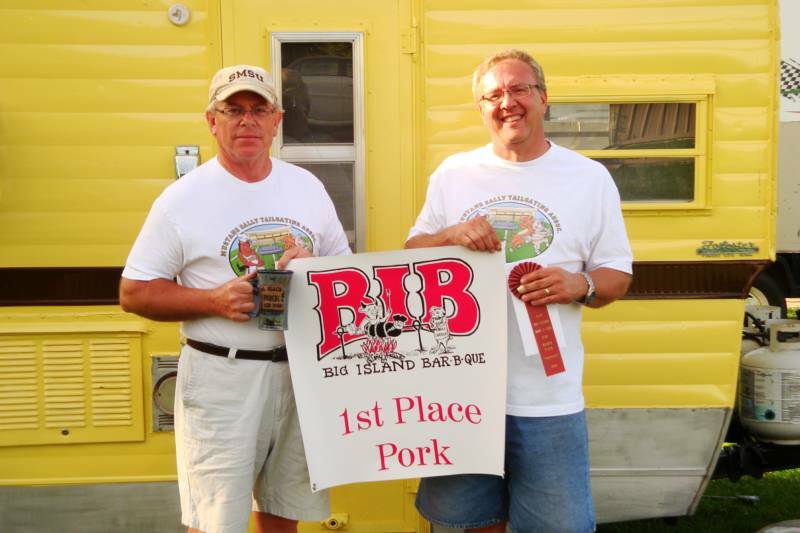 Also a huge shout out to former cooking partner Karl who retired from competition bbq in 2014. Miss you buddy!